It took less than half an hour at a full-strength board meeting on Monday afternoon in Mumbai to replace Cyrus Mistry as the chairman of the Tata Group, it is learnt. The meeting was attended by all 11 board members, including Nitin Nohria, the dean of Harvard Business School, and top-ranked investment strategist Farida Khambata, both of whom are based in the US and who usually attend meetings through video-conferencing. This was no ordinary meeting, where even Ratan Tata was present as chairman emeritus, a source said. The 78-year-old Tata left the meeting as interim chairman of Tata Sons. Several resolutions were put to vote, but there were three that would eventually decide the future of the salt-to-software conglomerate. The board members voted in favour of those resolutions - replacing Mistry as chairman, inducting Tata as interim chairman, and relaxing the age criterion for the chairman’s post. The recent controversy over NTT Docomo, the Japanese telecom service provider and erstwhile partner of Tata Telecommunications, that moved courts over an exit clause in the deal, could have been a point of tussle too between Tata and Mistry. But, sources told Business Standard, two board members abstained when the resolution on Mistry was put to vote and one abstained in the case of the other two. While nobody could tell when a decision was taken to replace Mistry, putting himself in the chairman’s role all over again may not have been Tata’s first choice, sources said. Other names were considered, according to one of the sources. The decision boiled down to Tata himself, till the next chairman is chosen by a selection panel. Although the company has said it would take four months to complete the process, some believe it may take longer, at least seven to eight months. It’s not just Mistry who has been replaced as chairman. The group executive council of Tata Sons has been disbanded with immediate effect as well. The council, headed by Mistry, was seen as a power centre of the group. The council members included Nirmalya Kumar, a visiting professor at London Business School; Madhu Kannan, former CEO of Bombay Stock Exchange; and N S Rajan, former partner at EY. Kumar has been responsible for strategy at the group level, Kannan was head of business development and Rajan the chief human resources officer. Roles of those members of the group executive council who are part of the Tata group, such as Mukund Rajan, who’s also the brand custodian and group spokesperson, and Harish Bhat, who’s held top positions across group companies, will be redefined. Finally, what could be the reason for this swift change in less than four years of Mistry taking charge? Sources said the real issue was that Tata felt Mistry may not be the best bet for the group in the long-term and that there was hardly any forward movement under his leadership.The vision was missing. People in the know said it was building up. The latest trigger was Tata Power’s acquisition of Welspun Renewables’ solar and power assets - the deal went through without consultation with the Tata Sons board, according to a source. In fact, the process of consultation and getting approvals from a Tata Trusts committee for issues related to the group resulted in tension on several occasions, another source said. Tata Sons is controlled by Tata Trusts, which formed a committee with Tata Sons board member and Bain Capital managing director Amit Chandra, managing Trustee of the Sir Dorabji Tata Trust R Venkataramanan (Venkat), trustee Noshir Soonawala and Tata as members. The tension between Tata and Mistry over bringing group issues to this committee may have been another hurdle that could not be removed. 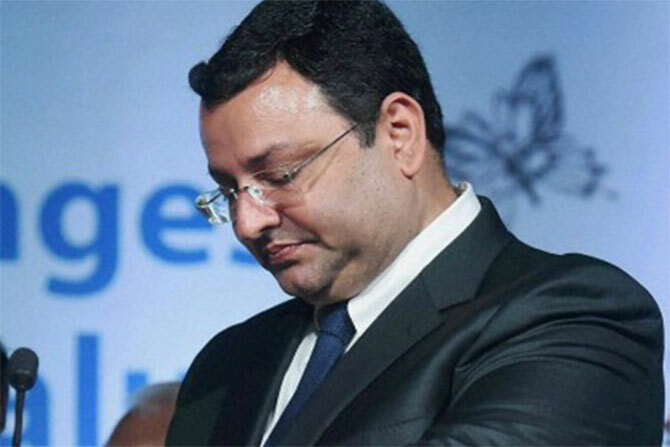 However, sources said the real issue was that Tata felt Mistry may not be the best bet for the group in the long-term and that there was hardly any forward movement under his leadership. The vision was missing, as a source described it. But questions are being raised on this assessment by a board that has at least three members – Ajay Piramal, Venu Srinivasan and Amit Chandra – who were appointed just a few months ago. Whether or not the board was qualified to take a decision to replace Mistry, the buzz Monday evening was that Tatas have kept the Prime Minister's Office (PMO) in the loop on the change. However, Tata and his team are believed to have secured legal advice from a battery of top lawyers, including former finance minister P Chidambaram, before taking the decision. A picture dating to 2012 where Tata stood with Mistry in the same frame, looking at his successor with a smile could have looked for keeps, but things changed. An onlooker described how the two were on the same flight recently, travelling first class, from London to Mumbai. They waved at each other but were not spotted chatting. Who should replace Cyrus Mistry as the chairman of Tata Sons?